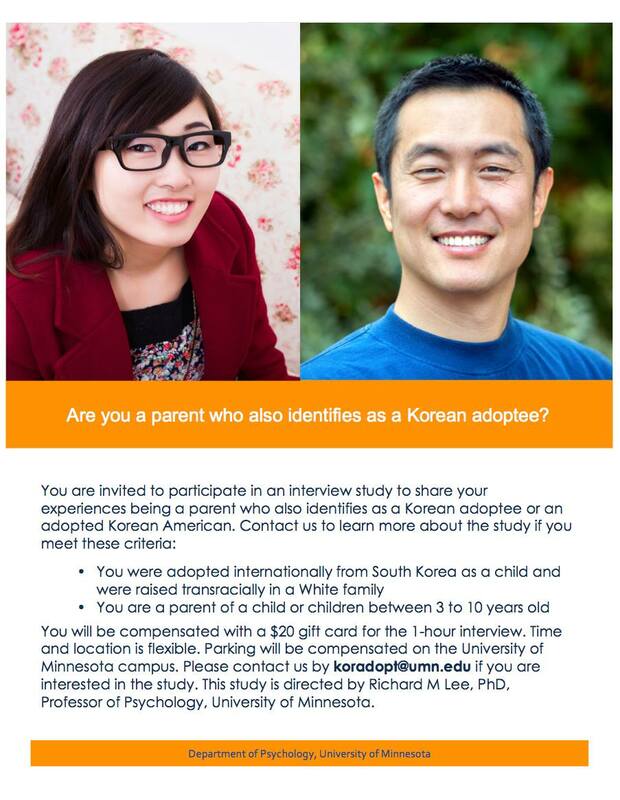 The purpose of this study is to understand Korean adoptees’ experiences being a parent in America. This study is being conducted through the University of Minnesota. Research team include Rich Lee, Xiang Zhou, and Heewon Lee. The study is open to parents of children from 3-17 (even though the flier below says 3-10, it has been expanded to include parents of tweens and teenagers).